Diversity and excellence go hand in hand. Every member of our community plays an important role in making our university the best it can be. It is wonderful to see our campus constantly exploring the relevancy of diversity and inclusion in different ways. Changes in student demographics, inclusive pedagogy, employee recruitment and retention, professional development, research, supplier diversity, engaging diverse communities, and international collaborations are just a few of the key points that our campus will continue to address as we move forward with our strategic plan. We are committed to diversity, inclusion and most importantly action. Our optimal performance is predicated on bringing diverse ideas and perspectives to the table. As leaders in diversity, it is our responsibility to examine our values and develop a campus culture where diversity and inclusion are central to strategy as well as to operations. We are creating systems that allow every student, faculty and staff member to achieve maximum potential within a diversity framework. Our progress and contributions to diversity and inclusion can be measured and documented taking into consideration the specific goals of the individual, unit and campus. For example, a strategic leadership diversity scorecard might include items like. • Participating in diversity related professional development opportunities, internally and externally. Ongoing development of cultural competencies to help create an inclusive environment for students as well as employees. • Developing inclusive learning environments by including a diversity statement in a course syllabus reflecting an individual faculty member’s commitment to diversity. • Creating assignments that allow students to explore diverse ideas from different personal and cultural perspectives, to accommodate different learning styles and needs. • Supporting diverse student recruitment, retention, mentoring, and research activities. • Engaging diverse campus or community based organizations. • Participation in diverse community activities, like the San Diego Pride, Ex4 Vets, MLK Parade, Pacific Islander Festival, Pow Wows and American Indian traditional gatherings, and diverse community activities and film festivals. • Engaging in diversity themed research or projects on campus. Implementation of diverse faculty recruitment initiatives. Individual and departmental diversity goals may often be directly linked to institutional diversity strategies. Our most valuable resource is our people. Our combined diversity efforts increase the likelihood of recruiting and retaining talented students, and employees. At the same time, we are preparing leaders who understand that the workforce should look like the people we have on our campus, not only out of fairness but because our inclusive policies and practices help secure our legacy as a top diverse research university. 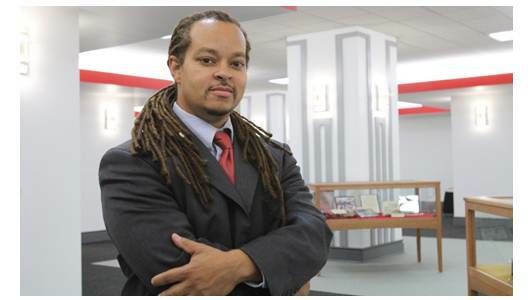 The Chief Diversity Officer (CDO) serves as the university’s executive level diversity and inclusion strategist. Working with the president and senior university leaders, the CDO collaborates with departments across the institution to achieve the diversity mission of the university. The CDO engages the campus and surrounding community to help define, enable, and foster an inclusive campus culture that embraces the diversity of identities, ideas, and values that embody San Diego State University.